Humidity can be a dangerous, invisible threat to the health of both your home and family. You have no doubt made efforts to control the humidity levels in your home, but may have neglected the less-used portions of the house. 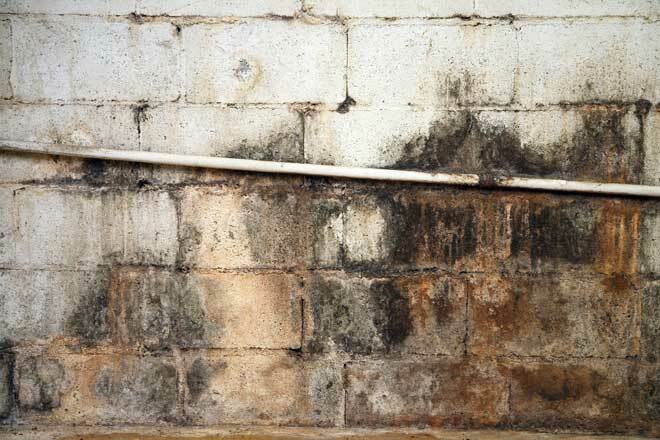 Of the many places in your home susceptible to moisture, your basement is at the most risk. There are numerous causes of high humidity in your basement. Poor insulation and large differences between indoor and outdoor temperature levels may be obvious factors, but there are many more you might not have considered. Doing laundry may have an effect, especially if the exhaust vents leak. A malfunctioning sump pump or gutter spouts directing water too close to the foundation are also causes of moisture and even flooding. Finally, check the ceiling regularly for signs of leaking pipes, which not only add moisture to the basement but may be causing damage to other parts of your home. Moderation is a key factor to many aspects of life and humidity is no different. There are different risks associated with a relative humidity that is too high or low. Sometimes, these symptoms are the first sign of a humidity issue, although they only appear after the issue has existed for some time, if they do at all. Maintaining a good relative humidity level helps eliminate one easily preventable factor in the causes of these home and health problems. Low humidity levels in your home lead to dried sinuses and bloody noses. Many respiratory problems, such as asthma may be exacerbated by poor humidity. The dry air is also known to cause chapping and various other skin problems. The primary threat of high humidity is mold, mildew, and other fungal infestations. Mold can damage wood and even concrete. Furthermore, the spores may seriously affect the health of your family. Some varieties, such as black mold, have even been known to cause death. However, mold isn’t the only threat posed by high humidity. Termite colonies thrive in the humid environment, which may also cause wood rot. Condensation provides a water source that attracts silverfish and even rodents. These various pests bring their own health risks and threats to your home’s structural integrity. Typically, your basement serves one of three functions: storage, furnished living or recreational space, or as a wine cellar. 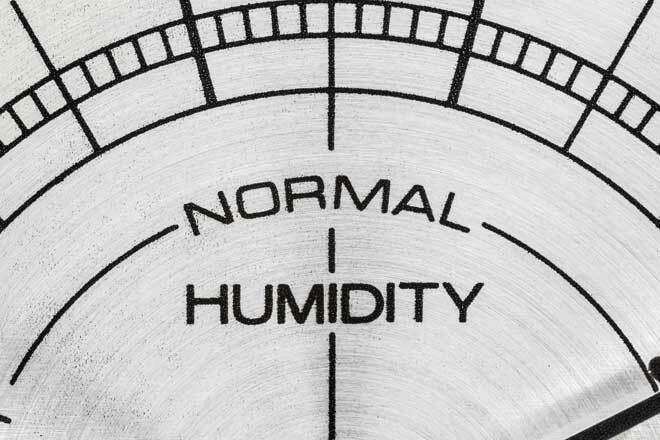 Depending upon the purpose, your relative humidity levels fit into slightly different ranges. Understanding these ranges will allow you to reduce the risk of health risks and structural damage. Most dehumidifiers have a built-in humidistat which allows you to preset and monitor the humidity levels. Alternatively, you may purchase a hygrometer and keep it near your dehumidifier. This device measures the amount of moisture in the air, allowing you to run the dehumidifier as needed. As a general rule, you basement should keep a relative humidity level of 30 to 50 percent. Not only does this range reduce the risk of harmful bacterial growth, it also prevents several health risks associated with low humidity. Further limiting the RH level to a range of 30 to 40 percent during the winter season in colder climates will eliminate window condensation. Wine cellars are becoming more popular with homeowners of varied economic backgrounds. Regardless of whether you have an existing wine cellar or plan to add one to your basement, it is important to maintain both temperature and humidity at specific levels for the wine to properly mature. These spaces are generally well-insulated with their own humidifier units and should be kept at 60 percent relative humidity. Please be aware that the RH of other rooms in your basement must still be kept at the 30 to 50 percent range. Checking for leaks in your wine cellar’s insulation is thus doubly important, as the difference in humidity levels could cause dehumidifiers to overwork. ENERGY STAR provides a detailed guide on choosing dehumidifiers, as well as a dehumidifier calculator. The Mayo Clinic offers an article further discussing the health effects of humidifiers and humidity levels. The University of Minnesota provides an in-depth article further detailing the causes of moisture in basements, as well as offering solutions.